Dimensions (in packaging): 5" x 3" x 0.1"
Quality and great price makes this tool worthwhile to buy and keep for whenever the need to use comes up. 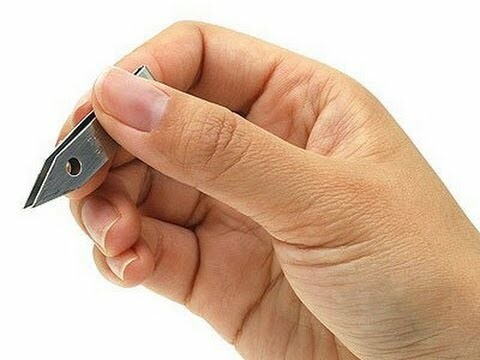 Good tweezers are a dime a dozen but a great pair of tweezers is hard to find. Mary Ann McCormick from Lark Fine Food (we featured her gourmet cookies just last month) said these were the best tweezers she has ever owned. After using them to extract a very stubborn sliver that other tweezers couldn’t grip, we have to agree. So what makes Uncle Bill’s Sliver Gripper so special? 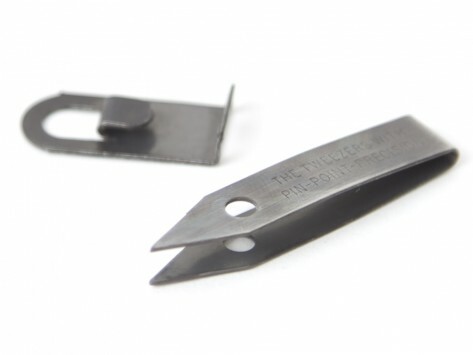 Unlike conventional tweezers that are made by spot-welding two pieces of metal together, the Sliver Gripper is crafted from a single piece of spring-tempered stainless steel. The pointed tip is honed by hand so it’s unbelievably precise. The inventor, Uncle Bill, created the tweezers in his basement workshop. Today they’re manufactured in West Hartford, Conn., by a company that kept the Uncle Bill name to pay homage to his big little invention. One of Uncle Bill’s largest customers is the U.S. military — soldiers keep a pair with their dog tags. If the Sliver Gripper is good enough for use in the trenches, then you know it’s something you need to have in your first-aid kit… and in your makeup case, sewing bag and toolbox.